“Circle and Silence” exhibition by Samran Cheupan comprises 36 art pieces, including paintings, sculptures and installations. His work portrays the journey of his own mind during its creation. Either rotation or stillness, form or emptiness, a circle appears in an empty space. The friction of rotation occurs from its non-existence. Silence and sound are also vice versa when we have self-awareness. Though there is silence, it does not mean no sound exists. Silence and space have elegant equivalencies. There is nothing much except silence and emptiness. About artist Samran Cheupan was born on May 17, 1972 in Amphoe Muang, Sakon Nakhon, Thailand. He received Bachelor degree of Fine Arts in Music Performance from Rajamangala University of Technology Thanyaburi, Pathum Thani, Thailand. 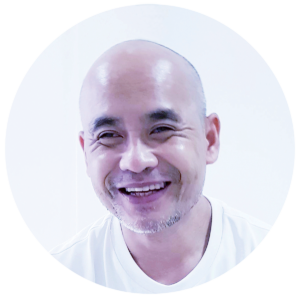 He also received Master degree of Fine and Applied Arts in Music Composition from Chulalongkorn University, Thailand. Samran’s interest in the art of drawing started at a young age. He began to learn drawing by himself. He first focused on Enso, which is the Zen circle drawn in black ink. In 2004, Samran was invited to showcase his drawing and music composition work as part of “Malancha” exhibition at Pridi Banomyong Institute. In 2006, he began to study Buddhism. This made him appreciate Dhamma and hence turned him into a true believer of Buddha. Henceforth, Dhamma has been a large influence on his artworks. In 2008, Samran participated in an art exhibition with the art group called “Opening” at a public art gallery on Samui Island. In January 2017, he participated in “Singapore Contemporary Art Show 2017”, held at Suntec Convention and Exhibition Centre, Singapore. 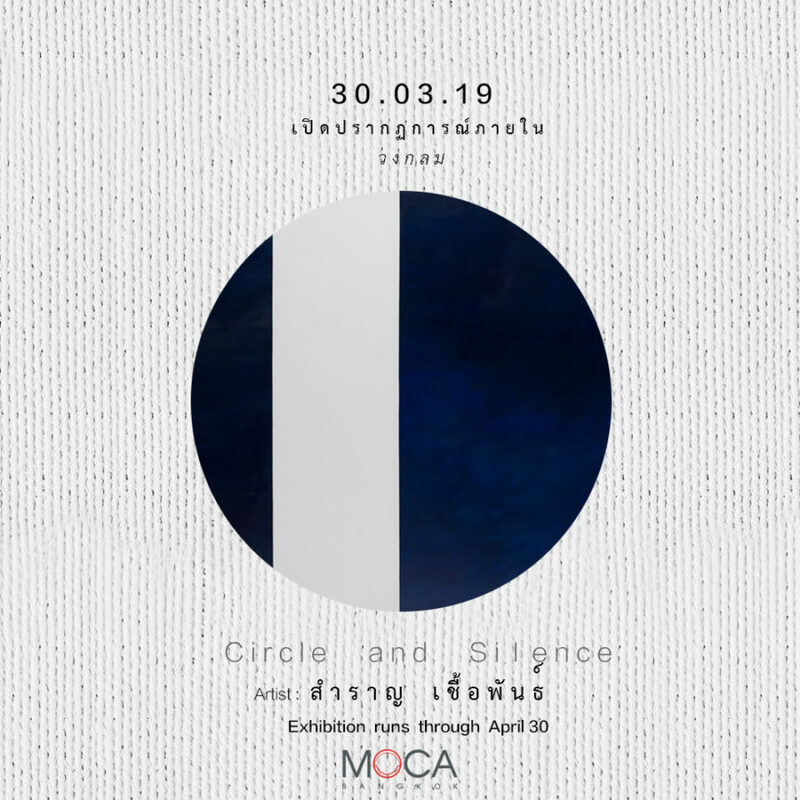 “Circle and Silence” exhibition at MOCA BANGKOK is the first solo contemporary art exhibition of Samran Cheupan.